I promised I would be blogging regularly on SurplusCameraGear.com's progress, and while I haven't had the time to write an in-depth post, here's a quick update on some progress made. 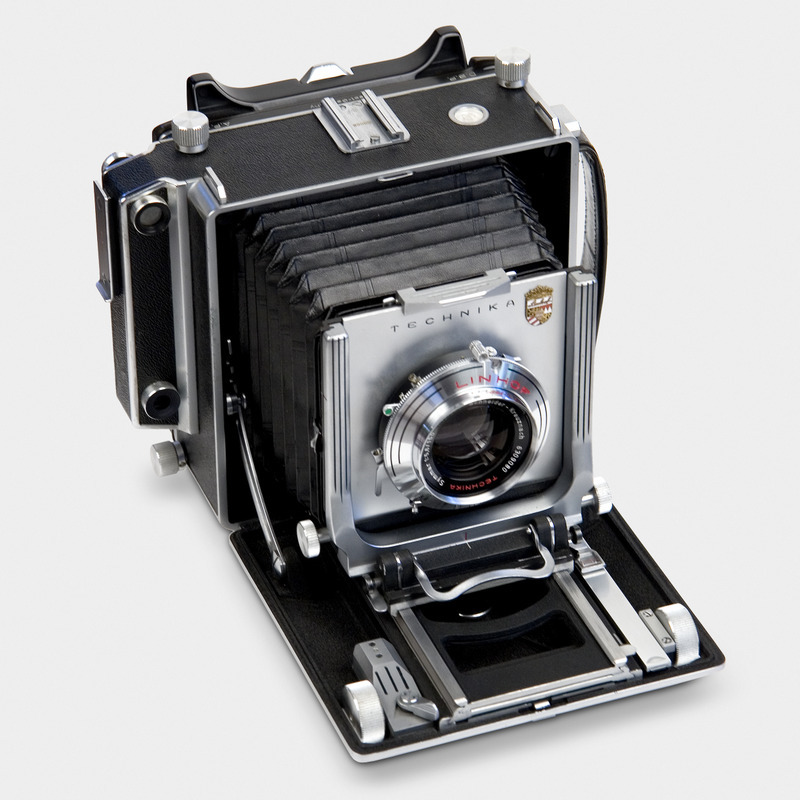 I was able to find the original RAW image file for the Linhof 4x5 in Technika III, Type 5 Technical Field Camera as well as that for the accompanying Schneider-Kreuznach Symmar 1:5,6/150mm 1:12 265 lens in a Linhof branded, chrome-faced Compur shutter. Since I had only had the earlier, small 070926_0381.jpg version of the main camera image originally used on eBay, I was now able to open the files in Photoshop Camera Raw at full size, so when uploaded into ProStores I can now have all three image size options available for visitors to look at (200 pixels, 400 pixels, and 800 pixles). If I’d have to pick one single thing that would sell a product online, it’s images. You *technically could* have an ecommerce site with just images, and no product descriptions (I don’t recommend it). It wouldn’t work vice versa. People want to see what they’re getting. The grandfather of boosting ecommerce conversion rates is having high quality photos of your product. The more the better. Show the products from different angles, in context, make them zoomable. I also replaced the Product Detail page in Fauxlaroids.com for the listing Linhof Technika III, V5 with redirect code going to the new listing in SurplusCameraGear.com. If you go to Photographic: Cameras and click on the Linhof link, you'll see new code in action. I also added a related product to the catalog, a Schneider-Kreuznach Tele-Xenar 1:5,5 / 240mm Large Format Lens in Linhof Synchro-Compur Shutter mounted on Linhof Technika III Lens Board. The Tele-Xenar came with the Technika in an immaculate kit I bought on eBay several years ago. In keeping with the topic above, I'll need to get my Dyna-Lite strobe units out and take some images to replace the place-holder graphic I added temporarily. This is equally true (or more so) for the three placeholder products I added to the store for Gitzo, Graflex, and Sinar, that I added to the store in order to fill out the Our Brands table displaying Manufacturers' Logos at the bottom of the Home, About Us and Store Policies pages. The OEM table is being fed from the Manufacturers List in the store admin's Product Manager. If the manufacturer was configured with a logo, it will appear in the table automatically (also on the Product Detail page). You'll notice I fleshed out the About Us page copy, and linked through to it from the Home Page welcome text. I still need to customize the copy on the Customer Service page (standard ProStores at the moment), and come up with some policies unique to my store. Regrettably, many ProStores merchants skip over these pages, but they are indexed by the search engines and their content is important to Search Engine Optimization as they provide room to repeat keywords, to positioning yourself as an expert in your product line, and show shoppers you are a reputable merchant who can be trusted. But we'll save that topic for another post!